Photo Finish Makeup is a mobile makeup business that offers a flawless airbrush application of makeup along the Sunshine Coast. Imagine being relaxed at home, in a studio or even a hotel suite and having us come to you to create a personalised airbrush makeup look just for you. We create a personalised look for each client by taking the time to chat with you and listen to your thoughts and ideas. We believe makeup should enhance your natural beauty, not hide it. We believe that our job is to highlight your best features to give you a look that will be soft and silky. Whether it be a natural, modern, moody or a vintage look you’re after, rest assured it will be beautiful and flawless. Photo Finish Makeup offers a mobile makeup service along the Sunshine Coast. It’s our privilege to be a part of your day! We guarantee you will have a memorable experience with a flawless airbrush makeup application look designed especially for you! Photo Finish Makeup also specialises in creative makeup shoots for fashion shows, media editorials and any other events that requires that special look. View our extensive wedding makeup gallery, along with our fashion and media makeup shoots, and before and after shots, from Noosa and surrounds. To view our standard wedding and fashion makeup packages, please click the link below. For a customised makeup solution please contact me here. “I just want to thank you for the beautiful makeup for both my mother and me. Everyone complimented on how beautiful we were and that’s all thanks to you. So THANKYOU!!!!! 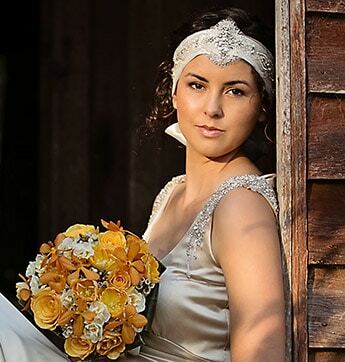 Secure Photo Finish Makeup for your Noosa or Sunshine Coast wedding today.